Are you looking for Software Testing, Software Development, SDET, Mainframe Testing, DevOps, QA, Java jobs in India?? 7-11 years of experience in software testing and test automation/performance, with solid, demonstrable understanding of software development and testing practices. 3+ years of experience in leading QA/testing projects and teams. Proficiency in programming using Python/C#/Java or other languages. Expertise in designing and implementing automated testing solutions for enterprise applications across the application layers (UI/Service/Data layers) and working with developers in building automation/performance friendly code/components. Experience working with SOAP and REST service and understanding of SOA architecture. Experience of distributed source control systems such as Git. Strong knowledge of RDBMS and SQL/PL-SQL, writing queries, stored procedures and scripts. Experience of BDD and automation/performance in Agile methodology is highly desirable. Hands on experience in Embedded C based SW development on any microcontroller platform. Hands on experience in Cross-Compiler, Debuggers/Emulators (WinIDEA Debugger, GHS compiler preferred). Hands on experience in Communication Protocol CAN and related tools like CANoe/CANalyzer etc. Experience on Tessy tool for unit testing. Experience in preparing the Functional/Integration test plan. Experience in Functional/ Integration testing on hardware using testing tools. Development/testing experience of Unified diagnostic services(UDS). Working experience in BMS/OBC or on any Electric powertrain ECU. 3-7 years plus experience in functional testing. Around 4yrs experience in mainframe testing which includes experience in running batches and jobs. Good experience in Life and Pension domain or Banking is the must. Should have good experience in designing Test data, writing test cases. Good experience in defect life cycle. Good experience in managing customers/stakeholders. Ambition and desire to work in a highly visible, highly accountable, fast-paced team. Strong multi-tasking and time-management skills. Strong programming experience in either Java or Python/Ruby (CHANGE PER REQUIRED PROFILE). Knowledge of the Oracle database, grid and Exadata patching lifecycle is a plus. Excellent knowledge of Relational Databases, SQL technologies. Suyati Technologies that has been in business for the past 9 years. We are a fast growing digital transformation solution company, aiming at helping our clients attract and retain their customers. 2nd, 3rd Party Data (Marketing, PII, Distribution Partners). Aggregate large tables into smaller manageable tables/views. Populate missing values, rename dimensions, metrics. A strong software development background to quickly learn new technologies, conceptualize/prototype, and deliver structured solutions for extreme scale. Object-oriented analysis and design using common design patterns. to take complete end to end ownership of features which are released for consumers and partners. Minimum 1 Year of experience into Automation testing. Hands on automation experience required in Selenium & Appium for UI. maven, HTTP client, rest Rest assured, JAXB, JAXRS, Jersey, Jackson). Must have strong hands-on experience on functional and non-functional automation. Must be strong in writing complex SQL queries using joins. Database hands-on experience is required. 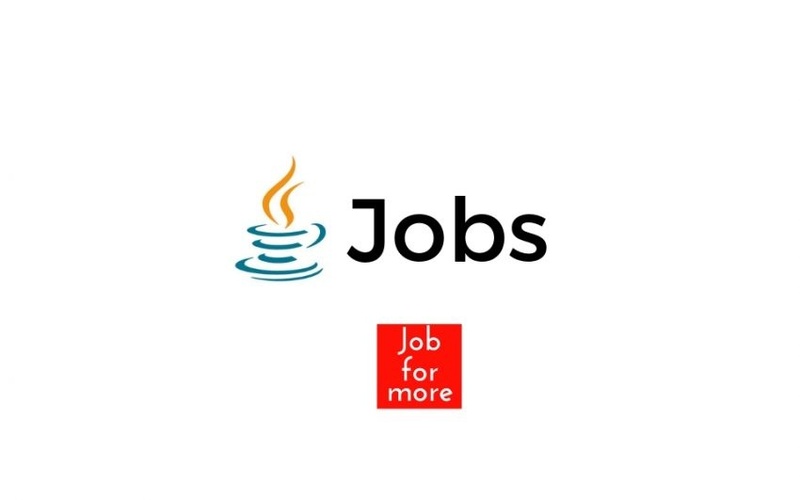 experience in Development of large Java/J2EE applications. Well versed with SDLC or Support processes such as incident management, problem management, Major incident process etc. ITIL certification will be added advantage. Must have handled complex application debugging/impact analysis / root cause analysis etc. Must have handled requirement analysis / design etc. Must have knowledge & experience of change & release management. Possess advanced knowledge of object-oriented design and development and the J2EE framework and data architectures. Analyzes, designs, programs, and modifies software enhancements and/or new products used in local, networked, cloud-based or Internet-related computer programs. Good experience in Java, J2EE, Spring, Spring MVC, Spring Boot, SOAP, RESTful Web services, Design Patterns, Hibernate and IBM DB2 OSDB. Good Debugging skills using the tools. Knowing the Jscript and Angular JS is an added advantage. Retirement Domain knowledge is preferred. Knowledge in Mainframe is preferred. As a part of data platform solutions team, you will develop frameworks that will enable functional teams to process data to build Walmart scale Data Lake. Good academic record and graduated (B.E/ B.Tech / M.E / M.Tech/ MBA). 5+ years of Industry experience, focused on solving data challenges. Strong programming experience in Core Java, strong with Algorithms, Data structures, design patterns, multi-threading. Strong experience one at least 1 big data frameworks like Hadoop, Map Reduce, Spark, Hive.